(South Elgin – 2/29/2016) — Judo (meaning “gentle way”) is one of the sports athletes will be competing in at the 2016 Summer Olympics in Rio de Janeiro. This modern martial art was born in Japan in 1882, and the American Athletic Union (AAU) has held national championships for the sport for half a century. 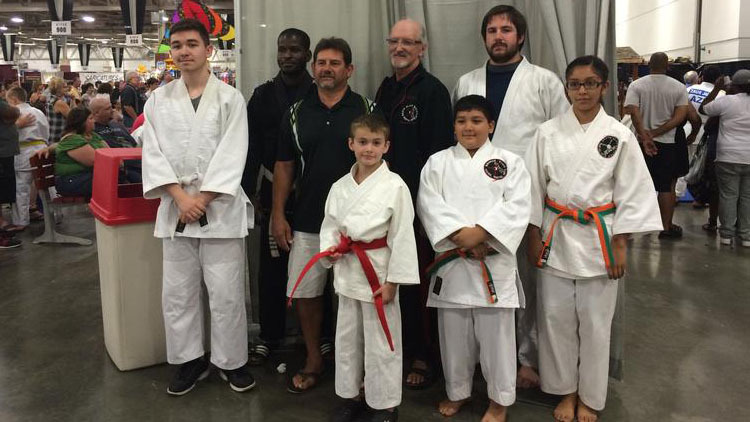 At the most recent, 2015 AAU Judo National Championships in Milwaukee, South Elgin Budokan Martial Arts came home with several medals won by six of its students. The 2015 winners were Artie Grubba (gold); Ulysses Maldanado (gold); Justin DaVito (silver) and Mason Cullotta (silver); Gaby Maldanado (bronze); and Lou Nzinga (silver and bronze). Nzinga was also named a National Champion for the fourth consecutive year. The youngest South Elgin Budokan team member, Mason Cullotta, is just 10 years old and had not competed in a national competition prior to the 2015 event. This was also Justin DeVito’s first tournament; he had only 10 months of training before competing at the nationals. Coach Mike de la Torriente, who along with Tom O’Shaughnessy accompanied the team to the nationals, was the youngest judoka (one who practices judo) ever to compete in the Judo Olympic trials, in 1975. The 2015 competition was the fourth South Elgin Budokan has competed in since 2012, where students have garnered more than two dozen medals. O’Shaughnessy, a native of Ireland, holds an 8th degree black belt and multiple black belts in various martial arts. He has studied martial arts under masters in Japan, China, Europe and the Philippines, and has toured the world teaching as well as keeping current with martial arts techniques and philosophies. In fact, he is among some of the first, and few, westerners to have obtained his teaching license from Japan. 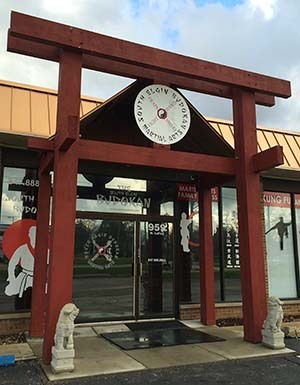 Besides instruction in martial arts and self-defense, South Elgin Budokan’s programs provides students with confidence, self-esteem, self-control and awareness to help avoid bad situations. The budokan was opened in 2009 by co-founders Thomas O’Shaughnessy and Joseph Prignano. 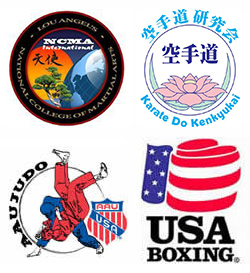 Some 20 instructors teach youth and adult programs in the most widely practiced martial arts in the world such as judo, hapkido, bujutsu, Brazilian jiu-jitsu, kung fu, MMA (mixed martial arts), tai chi, wrestling, self-defense, shaolin kempo, kickboxing and others. Instructors also teach programs in bullying prevention and self-defense through after-school programs offered at local schools. The 50th annual AAU National Judo Championships will take place Aug. 16, 2016 in Milwaukee at Wisconsin State Fair Park.